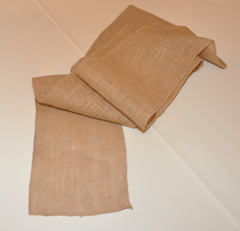 Burlap sashes make for a rustic, shabby chic, western look. 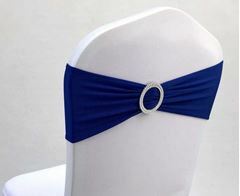 Use them to dress up your chairs for the ceremony or reception. 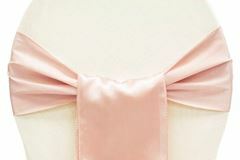 This sashe is shorter so a double knot will do. 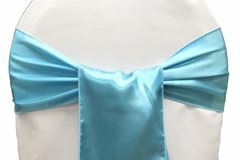 Has frayed edges. 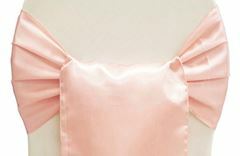 Blush curly willow sashe - this is an attachment. 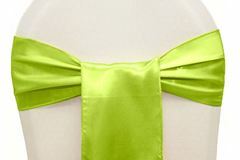 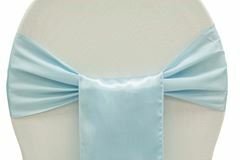 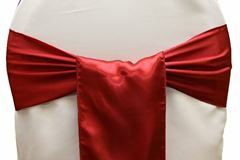 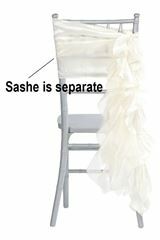 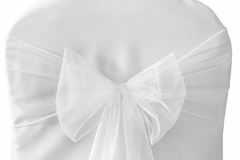 You can use it on self tie chair covers to hide the knot or add it to your chair sashes for an elegant and whimsical / elegant look. 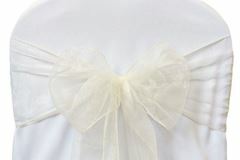 Champagne curly willow sashe - this is an attachment. 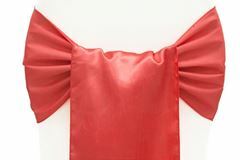 You can use it on self tie chair covers to hide the knot or add it to your chair sashes for an elegant and whimsical / elegant look. 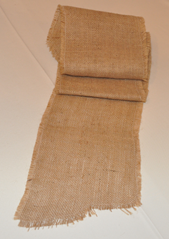 Ivory curly willow sashe - this is an attachment. 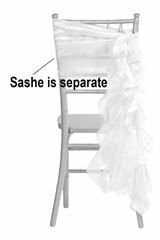 You can use it on self tie chair covers to hide the knot or add it to your chair sashes for an elegant and whimsical / elegant look. 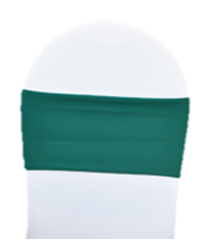 White curly willow sashe - this is an attachment. 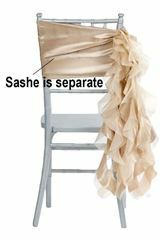 You can use it on self tie chair covers to hide the knot or add it to your chair sashes for an elegant and whimsical / elegant look.